In these early years of the 21st century, forensic psychology remains a young branch of applied psychology, having been recognized by the APA as a specialty in 2001 and recertified in 2008. Even before that, in 1991, Specialty Guidelines for Forensic Psychologists (Committee on Ethical Guidelines for Forensic Psychologists [hereafter Committee], 1991) were adopted by the American Psychology-Law Society, which is Division 41 of the APA. These Guidelines were recently revised, renamed Specialty Guidelines for Forensic Psychology (APA, 2013), and accepted by the APA Council of Representatives. Interestingly, although forensic psychology was initially viewed as primarily clinical in nature—such as by providing assessments to the courts—its scope has broadened to encompass the practice of psychology as it provides expertise to the law in a very wide range of contexts (see APA, 2013; Committee, 1991). This broad view of forensic psychology was not always supported. According to Ronald Roesch, for example (cited in Brigham, 1999, p. 279), “Most psychologists define the area more narrowly to refer to clinical psychologists who are engaged in clinical practice within the legal system.” A few years later, Brigham and Grisso (2003) modified this somewhat, noting “Many psychologists define forensic psychology more narrowly to refer to clinical psychologists who are engaged in clinical practice within the legal system. The distinction here is between psychologists who bring scientific information to the courts for their consideration in cases and psychologists who evaluate individuals and testify about them in reference to a legal question” (p. 392, emphasis added). In recognizing forensic psychology as a specialty in 2001, the APA itself adopted the narrow approach, to include “the primarily clinical aspects of forensic assessment, treatment, and consultation” (Otto & Heilbrun, 2002, p. 8). However, as noted, the Specialty Guidelines take a broader view. In this research paper, forensic psychology is being viewed broadly. It is both (1) the research endeavor that examines aspects of human behavior directly related to the legal process (e.g., eyewitness memory and testimony, jury decision making, and criminal behavior) and (2) the professional practice of psychology within or in consultation with a legal system that encompasses both criminal and civil law and the numerous areas where they intersect. Therefore, the term forensic psychology refers broadly to the production of psychological knowledge and its application to the civil and criminal justice systems. It includes activities as varied as these: courtroom testimony, child custody evaluations, law enforcement candidate screening, treatment of offenders in correctional facilities, assessment of plaintiffs with disability claims, research and theory building in the area of criminal behavior, and the design and implementation of intervention and prevention programs for youthful offenders. In the pages to follow, after an introductory section covering seminal contributions, we review developments in four major areas of forensic psychology: legal psychology, correctional psychology, police psychology, and criminal psychology. Readers will undoubtedly recognize that there is considerable overlap in these categories and in the subheadings. Correctional psychology, for example, presupposes some understanding of criminal psychology. Assessment, which we cover under legal psychology, is an essential tool of the trade for psychologists, and it underlies all practice. Nonetheless, for purposes of identifying historical trends and landmarks, discussion of these four distinctive areas is warranted. We focus on forensic psychology rather than forensic psychiatry, which has its own well-documented and rich history, probably centered on the early work of Isaac Ray, who is considered by some the father of forensic psychiatry (Brigham & Grisso, 2003). We also do not delve into the origins of the sociology of law, referred to as sociological jurisprudence, or the legal realism movement within the law itself. This movement, born during the first third of the 20th century, advocated a partnership between the law and the social sciences (Ogloff, Tomkins, & Bersoff, 1996). In addition, we emphasize the work of forensic psychologists in the United States and, to a lesser extent, Canada, although we give due recognition to the work of European psychologists, who dominated the field prior to World War I. We review the achievements of psychologists from the end of the 19th century and extend our discussion into the 1970s, when forensic psychology came of age (Loh, 1981). The reader interested in more detail about the issues and individuals discussed might check landmark summaries of psychology and law published by Whipple (1909, 1910, 1911, 1912, 1913, 1914, 1915, 1917), Hutchins and Slesinger (1929), Louisell (1955, 1957), Tapp (1976), Loh (1981), and Monahan and Loftus (1982). More recently, Brigham and Grisso (2003) and Mulberger (2009) have published historical pieces on this topic, the latter with a strong emphasis on German influences. Legal psychology refers to psychological theory, research, and practice directly pertinent to the law and legal issues. It focuses on psycholegal research and contacts with judges, lawyers, and other law-related professionals in a wide range of contexts. The origins of legal psychology can be traced to the work of experimental psychologists in Europe in the 19th century, particularly in relation to the psychology of testimony (Mulberger, 2009; Sporer, 1982, 2008) and most particularly to the testimony of children, whose memory of events was considered unreliable (Lipmann, 1911). Read more about History of Legal Psychology. Pinpointing the origins of courtroom testimony by psychologists in Europe is not easy. Sources differ, often depending on the nature of the forum (e.g., civil versus criminal court, preliminary hearing versus trial) or its context (informal conversation with a judge versus formal testimony). Hale (1980) suggests that the earliest testimony by a psychologist in a criminal court occurred in 1896, when Albert von Schrenck-Notzing testified at the trial of a Munich man accused of murdering three women. The murders had received extensive and sensational press coverage in the months prior to the trial, and Schrenck-Notzing (1897) opined that this pretrial publicity, through a process of suggestion, probably led numerous witnesses to retroactive memory-falsification. 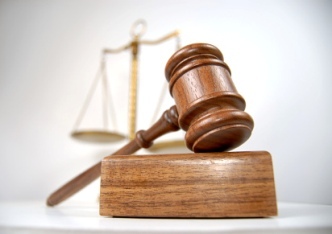 Read more about History of Courtroom Testimony. At the turn of the 20th century, American psychologists remained comparatively uninterested in applying research on topics related to law. One reason was that they were just beginning to explore the broad psychological landscape and had little inclination to specialize in law-related matters. This reticence was probably also due to the influence of Wilhelm Wundt, who had trained many of the American pioneers in his Leipzig laboratory (Cattell being the first). Wundt, a philosopher and an experimentalist, was wary of applying psychology until sufficient research had been conducted. He believed that the premature use of partial information could be disastrous. His students often took this caveat quite seriously, although some, like Cattell, eventually began to link the laboratory to the world outside. Read more about Developments in the United States. It is generally believed that American psychologists have served as expert witnesses since the early 1920s (Comment, 1979), but, like their European counterparts, they consulted with lawyers and the courts, perhaps particularly the civil courts, before that time. Included in this latter category are the juvenile courts, which were a hybrid of the civil and the criminal, dealing with matters of both child protection and delinquency. Psychological consultation with juvenile courts was common from their inception in 1899 (Brigham & Grisso, 2003). Consultation with and testimony in criminal courts was much less common, as we discuss shortly. Read more about History of Expert Testimony. During the years in which Munsterberg was proselytizing about psychology’s usefulness in the courtroom, particularly involving expert testimony, another American psychologist was more quietly making inroads into a different forensic area, one specifically related to juvenile courts. As we noted earlier, consultation with these courts was common, but it was chiefly in the area of assessment. In 1909, clinical psychologist Grace M. Fernald worked with psychiatrist William Healy to establish the first clinic designed for youthful offenders, the Juvenile Psychopathic Institute. It was initially developed to serve the newly established Juvenile Court of Chicago by offering diagnoses of “problem” children. Read more about History of Cognitive and Personality Assessment. Lindner (1955) pinpointed 1913 as the date when psychological services were first offered in a U.S. correctional facility, specifically a women’s reformatory in the state of New York. Watkins (1992) identified the psychologist as Eleanor Rowland, who was asked to devise a test battery to identify offenders who would benefit from educational programs and be safely returned to society (Rowland, 1913). However, the main function of psychologists employed in some capacity in the state and federal correctional systems during these years was apparently the detection of “feeblemindedness” among offenders, a condition thought to lead to a life of crime (Giardini, 1942; Watkins, 1992). Again, the work of Goddard and his followers is relevant. Read more about History of Correctional Psychology. Those who prefer a narrow definition of forensic psychology do not typically include police psychology in its purview. We have done so because police are sworn to uphold the law and are in many cases the gatekeepers to entry into criminal and juvenile courts, if not civil courts. Thus, psychologists who consult with police in numerous capacities (e.g., investigation, candidate screening, hostage-taking incidents, interviewing strategies) are connected with the legal system. It is difficult to pinpoint precisely when police psychology began, primarily because individual psychologists have provided a variety of services to law enforce­ment without their work being formally recognized. Viteles (1929) noted that police departments in Germany used psychologists in a variety of capacities as early as 1919. Read more about History of Police Psychology. Lewis Terman (1917) was the first American psychologist to use “mental tests” as screening devices in the selection of law enforcement personnel. On October 31, 1916, at the request of the city manager of San Jose, California, he administered an abbreviated form of the Stanford-Binet to 30 police and fire department applicants. They ranged in age from 21 to 38, with a median age of 30. Only four had attended high school, and none had attended beyond the sophomore year. Terman found that most of the applicants functioned near the dull-normal range of intelligence (68-84 on the Stanford revision of the Binet-Simon Intelligence Scale); only three obtained an IQ over 100, the score considered average for the general population. Read more about History of Cognitive and Aptitude Screening. In the years between the two world wars, psychologists gradually became more involved in the screening of law enforcement personnel and began to incorporate personality assessment into that enterprise. Wilmington, Delaware, and Toledo, Ohio, appear to share the distinction of being the first two cities to require ongoing psychological screening for use in police selection, in the form of mental and person­ality tests (Gottesman, 1975; Oglesby, 1957). The year was 1938. Thus, personality tests came on the scene at about this time. It was not until the late 1950s and 1960s, though, that personality assessment overtook cognitive tests in the screening of law enforcement personnel. While the aforementioned psychologists were among the first to study the cognitive capacities of police officers and candidates, there is no indication that they consistently participated in the screening and selection of law enforcement personnel. Read more about History of Personality Assessment. In the early years of the 20th century, psychologists began to offer psychological perspectives on criminal behavior and to speculate about the causes of crime. Like the police psychology discussed earlier, criminal psychology typically is not considered in the narrow definitions of forensic psychology, primarily because it appears more theoretical than clinical in nature. However, in its youth, criminal psychology was essentially clinical in nature, as the theories often centered on the measurable mental capacities of offenders. Furthermore, forensic psychology devoid of a theoretical base—such as that provided by criminal psychology—is difficult to justify and support. Read more about History of Criminal Psychology. Since the 1970s, we have witnessed a literature and research explosion in all areas of forensic psychology. Some 30 years ago, Loh (1981) observed that forensic psychology had “come of age.” Most recently, Heilbrun and Brooks (2010) noted that “[t]he field has matured: the recognition of the importance of the foundational science [of forensic psychology] is stronger, and we are closer to identifying best practices across a range of legal contexts that are addressed by forensic psychology research and practice” (p. 227). In 1965, just over 100 English-language articles and books related to forensic psychology had been published (Tapp, 1976). By the mid-1970s, the numbers were well into the thousands. Professional journals exclusively devoted to forensic psychological research and issues were beginning to emerge in North America. Criminal Justice and Behavior led the way in 1974, followed by Law and Psychology Review (a journal published by law students and graduate psychology students at the University of Alabama) beginning in 1975, Law and Human Behavior in 1977, Behavioral Sciences & the Law in 1982, and Psychology, Public Policy, and Law in 1995. Great Britain followed suit with Criminal Behavior and Mental Health (launched in 1990), Psychology, Crime, & Law (1994), the British Psychological Society’s Legal and Criminological Psychology (1996), and the Journal of Forensic Psychology Practice (2001). In addition to these, other interdisciplinary scholarly and scientific journals relevant to forensic psychology have emerged in recent years (e.g., Journal of Forensic Sciences, American Journal of Forensic Psychiatry, Journal of Psychiatry and Law). During the 1970s, interdisciplinary and specialized training in forensic psychology was introduced at the doctoral, master’s, internship, postdoctoral, and continuing education levels (Ogloff et al., 1996). The first interdisciplinary, successful psychology and law program was developed by Bruce Sales at the University of Nebraska-Lincoln in 1974 (Ogloff et al., 1996). Other universities soon followed in this endeavor, some more successfully than others. In the late 20th century and into 21st, thoughtful articles addressing the content of education and training programs in forensic psychology have been published (e.g., DeMatteo, Marczyk, Krauss, & Burl, 2009; Helmus, Babchishin, Camilleri, & Olver, 2011; Ogloff et al., 1996). Another indication of the growth in forensic psychology is professional certification of practitioners in the field, a development that began in the late 1970s. Beginning in 1978, board certification in forensic psychology was provided by the American Board of Forensic Psychology (Otto & Heilbrun, 2002). In recent years, other board certifications have emerged, such as the American Board of Forensic Examiners. In 2001, as noted earlier, the APA voted to recognize forensic psychology as a specialty, and Specialty Guidelines for Forensic Psychologists and Psychology were adopted in 1991 and 2011, respectively. Forensic psychology has seen a rapid expansion in other parts of the globe besides North America, particularly in Europe and Australia. Blackburn (1996), in the first issue of Legal and Criminological Psychol­ogy, asserted, “The growth in the number of forensic psychologists has been among the most prominent developments in the burgeoning application of psychology to law during the last two decades” (p. 3). He noted that, although the growth was most apparent in the United States, there was a parallel growth throughout Europe in the latter part of the 20th century. After an uncertain beginning and some stagnation between the two world wars, forensic psychology is now well established. Despite some continuing concerns about its definition (should it be broad or narrow? ), it is importantly clinical in nature but also critically dependent on theory and research. All indicators suggest that forensic psychology has an extremely promising future as we continue into the 21st century. American Psychological Association. (2013). Specialty guidelines for forensic psychology. American Psychologist, 68(1), 7-19. Barland, G. H. (1988). The polygraph test in the U.S.A. and elsewhere. In A. Gale (Ed. ), The polygraph test: Lies, truth and science (pp. 73-96). London, England: Sage. Barnes, H. E., & Teeters, N. K. (1959). New horizons in criminology (2nd ed.). New York, NY: Prentice-Hall. Baron, R. A. (1977). Human aggression. New York, NY: Plenum Press. Bartol, C. R., & Bartol, A. M. (2004). Introduction to forensic psychology. Thousand Oaks, CA: Sage. Bartol, C. R., & Freeman, N. (2005). History of the American Association for Correctional Psychology. Criminal Justice and Behavior, 32,123-142. Benjamin, L. T. (2003). Behavioral science and the Nobel prize: A history. American Psychol­ogist, 58, 731-741. Berkowitz, L. (1962). Aggression: A social-psychological analysis. New York, NY: McGraw-Hill. Binet, A. (1900). La suggestibility [Suggestibility]. Paris, France: Schleicher. Binet, A. (1905). La science dutermoignage [The science of testimony]. L’Annee Psychologique, 11,128-137. Binet, A., & Clarparede, E. (1906). La psychologie judiciaire [Legal psychology]. L’Annee Psychologique, 12, 274-302. Blackburn, R. (1996). What is forensic psychology? Legal and Criminological Psychology, 1, 3-16. Bodemar, O. A. (1956). Correctional psychology in Wisconsin. Journal of Correctional Psychol­ogy, 1,7-15. Bolton, F. E. (1896). The accuracy of recollection and observation. Psychological Review, 3, 286-295. Bornstein, B. H., & Penrod, S. D. (2008). Hugo Who? G. F. Arnold’s alternative early approach to psychology and law. Applied Cognitive Psychology, 22, 759-768. Brigham, J. C. (1999). What is forensic psychology anyway? Law and Human Behavior, 23, 273-298. Brigham, J. C., & Grisso, J. T. (2003). Forensic psychology. In D. K. Freedheim (Ed. ), History of psychology (pp. 391-411). Vol. 1 in I. B. Weiner (Ed.-in-Chief), Handbook of psychology. Hoboken, NJ: Wiley. Britt, S. H. (1940). The rules of evidence: An empirical study in psychology and law. Cornell Law Quarterly, 25,556-580. Brodsky, S. L. (1973). Psychologists in the criminal justice system. Urbana, IL: University of Illinois Press. Brodsky, S. L. (2007). Correctional psychology and the American Association of Correctional Psychology: A revisionist history. Criminal Justice and Behavior, 34, 862-869. Brown, M. (1926). Legal psychology. Indianapolis, IN: Bobbs-Merrill. Burtt, H. E. (1931). Legal psychology. New York, NY: Prentice-Hall. Cady, H. M. (1924). On the psychology of testimony. American Journal of Psychology, 35, 110-112. Cairns, H. (1935). Law and the social sciences. New York, NY: Harcourt, Brace. Cattell, J. M. (1895). Measurements of the accuracy of recollection. Science, 2, 761 -766. Cleckley, H. (1941/1964). The mask of sanity. Saint Louis, MO: C. V. Mosby. Clements, C. B. (1996). Offender classification: Two decades of progress. Criminal Justice and Behavior, 23,121-143. Coca-Cola Company v. Chero-Cola Company. 273 Fed. 755 (App. D.C. 1921). (1979). The psychologist as expert witness: Science in the courtroom? Maryland Law Review, 38, 539-615. Corsini, R. (1945). Functions of the prison psychologist. Journal of Consulting Psychology, 9, 101-104. Darley, J. G., & Berdie, R. (1940). The fields of applied psychology. Journal of Consulting Psychology, 4, 41-52. DeMatteo, D., Marczyk, G., Krauss, D. A., & Burl, J. (2009). Educational and training models in forensic psychology. Training and Education in Professional Psychology, 3,184-201. Eysenck, H. J. (1964). Crime and personality. London, England: Routledge & Kegan Paul. Frye v. United States, 54 App. D.C. 46, 47 293 F. 1013,1014 (1923). Giardini, G. I. (1942). The place of psychology in penal and correctional institutions. Federal Probation, 6, 29-33. Glaser, D. (1964). The effectiveness of a prison and parole system. Indianapolis, IN: Bobbs-Merrill. Goddard, H. H. (1914). Feeblemindedness: Its causes and consequences. New York, NY: Macmillan. Gottesman, J. (1975). The utility of the MMPI in assessing the personality patterns of urban police applicants. Hoboken, NJ: Stevens Institute of Technology. Greenberg, J. (1956). Social scientists take the stand: A review and appraisal of their testimony in litigation. Michigan Law Review, 54, 953-970. Gross, H. (1897/1905). Kriminalpsychologie [Criminal psychology]. Graz: Teuschner & Lubensky. Hale, M. (1980). Human science and social order: Hugo Munsterberg and origins of applied psychology. Philadelphia, PA: Temple University Press. Hare, R. D. (1970). Psychopathy: Theory and research. New York, NY: Wiley. Heilbrun, K., & Brooks, S. (2010). Forensic psychology and forensic sciences: A proposed agenda for the next decade. Psychology, Public Policy, and Law, 16, 219-253. Helmus, L., Babchishin, K. M., Camilleri, J. A., & Olver, M. E. (2011). Forensic psychology opportunities in Canadian graduate programs: An update of Simourd and Wormith’s (1995) survey. Canadian Psychology, 52,122-127. Hidden v. Mutual Life Insurance Co., 217 F.2d 818 (4th Cir. 1954). Horowitz, I. A., & Willging, T. E. (1984). The psychology of law: Integration and applications. Boston, MA: Little, Brown. Hutchins, R. M., & Slesinger, D. (1927). Some observations on the law of evidence: Con­sciousness of guilt. University of Pennsylvania Law Review, 77, 725-740. Hutchins, R. M., & Slesinger, D. (1928a). Some observations on the law of evidence: The competency of witnesses. Yale Law Journal, 37,1017-1028. Hutchins, R. M., & Slesinger, D. (1928b). Some observations on the law of evidence: Memory. Harvard Law Review, 41, 860-873. Hutchins, R. M., & Slesinger, D. (1928c). Some observations on the law of evidence: Spontaneous exclamations. Columbia Law Review, 28, 432-440. Hutchins, R. M., & Slesinger, D. (1929). Legal psychology. Psychological Review, 36,13-26. Jackson, J. P. (2000). The triumph of the segregationists? A historiographical inquiry into psychology and the Brown History of Psychology, 3, 239-261. Jenkins v. United States, 307 F.2d 637 (D.C. Cir. 1962) en banc. Jesness, C. (1971). Jesness Inventory Classification System. Criminal Justice and Behavior, 15, 78-91. Keller, E. I. (1918). Psychopathic laboratory at police headquarters, New York City. Journal of Applied Psychology, 2, 84-88. Kelves, D. J. (1984, October 15). Annals of eugenics, II. New Yorker, 52-125. Kluger, R. (1975). Simple justice. New York, NY: Knopf. Landy, F. J. (1992). Hugo Munsterberg: Victim or visionary? Journal of Applied Psychology, 77, 787-802. Lindner, H. (1955). The work of court and prison psychologists. In G. J. Dudycha (Ed. ), Psychology for law enforcement officers (pp. 131-150) Springfield, IL: Charles C Thomas. Lipmann, O. (1908). Grundriss der psychologie fuur juristen [Outline of psychology for jurists]. Leipzig, Germany: J. A. Bath. Lipmann, O. (1911). Pedagogical psychology of report. Journal of Educational Psychology, 2, 253-261. Loh, W. D. (1981). Perspectives on psychology and law. Journal ofApplied Social Psychology, 11,314-355. Louisell, D. W. (1955). The psychologist in today’s legal world: Part I. Minnesota Law Review, 39, 235-260. Louisell, D. W. (1957). The psychologist in today’s legal world: Part II. Minnesota Law Review, 41, 731-750. Magaletta, P. R., Patry, M. W., Dietz, E. F., & Ax, R. F. (2007). What is correctional about clinical practice in corrections? Criminal Justice and Behavior, 34, 7-21. Marbe, K. (1936). Work in commercial high schools and practical attitude. In C. Murchison (Ed. ), A history of psychology in autobiography, Vol. 3 (pp. 181-213). Worcester, MA: Clark University Press. Marston, W. M. (1917). Systolic blood pressure changes in deception. Journal of Experimental Psychology, 2, 117-163. Marston, W. M. (1920). Reaction-time symptoms of deception. Journal of Experimental Psychology, 3, 72-87. Marston, W. M. (1921). Psychological possibilities in deception tests. Journal of the American Institute of Criminal Law and Criminology, 11,551-570. Marston, W. M. (1924). Studies in testimony. Journal of Criminal Law and Criminology, 15, 5-32. Marston, W. M. (1925). Negative type reaction-time symptoms of deception. Psychological Review, 32, 241 -247. McCary, J. L. (1956). The psychologist as an expert witness in court. American Psychologist, 11,8-13. McCarty, D. G. (1929). Psychology for the lawyer. New York, NY: Prentice-Hall. Megargee, E. I. (1966). Undercontrolled and overcontrolled personality types in extreme antisocial aggression. Psychological Monographs, 80(3). Megargee, E. I. (1977). A new classification system for criminal offenders. Criminal Justice and Behavior, 4, 107-114. Merrill, M. A. (1927). Intelligence of policemen. Journal of Personnel Research, 5,511-515. Miller, H. L., Lower, J. S., & Bleechmore, J. (1978). The clinical psychologist as an expert witness’s questions of mental illness and competency. Law and Psychology Review, 4, 115-125. Monahan, J., & Loftus, E. F. (1982). The psychology of law. Annual Review of Psychology, 33, 441 -475. Monahan, J., & Walker, L. (1988). Social science research in law: A new paradigm. American Psychologist, 43, 465-472. Moore, C. C. (1907). Yellow psychology. Law Notes, 11,125-127. Mulberger, A. (2009). Teaching psychology to jurists: Initiatives and reactions prior to World War I. History ofPsychology, 12, 60-86. Muller v. Oregon, 208 U.S. 412 (1908). Munsterberg, H. (1899/1994). Psychology and history. Psychological Review, 101, 230-236. Munsterberg, H. (1908). On the witness stand: Essays on psychology and crime. New York, NY: McClure. Munsterberg, H. (1914). The mind of the juryman. In H. Munsterberg (Ed. ), Psychology and social sanity (pp. 229-249). New York, NY: Doubleday, Page. Napoli, D. S. (1981). Architects of adjustment. Port Washington, NY: Kennikat. Nietzel, M. (2000). Police psychology. In A. E. Kazdin (Ed. ), Encyclopedia of psychology, Vol. 6 (pp. 223-226). Washington, DC: American Psychological Association. Odom v. State, 174 Ala. 4, 7,56 So. 913, 914 (1911). Oglesby, T. W. (1957). Use of emotional screening in the selection of police applicants. Public Personnel Review, 18, 228-231, 235. Ogloff, J. R. P., Tomkins, A. J., & Bersoff, D. N. (1996). Education and training in psychology and law/criminal justice. Criminal Justice and Behavior, 23, 200-235. Otto, R. K., & Heilbrun, K. (2002). The practice of forensic psychology: A look toward the future in light of the past. American Psychologist, 57, 5-19. Paterson, D. G. (1940). Applied psychology comes of age. Journal of Consulting Psychology, 4, 1-9. People v. Hawthorne, 293 Mich. 15, 291 N.W. 205 (1940). President’s Commission on Law Enforcement and the Administration of Justice. (1967). Task force report: The police. Washington, DC: U.S. Government Printing Office. Quay, H. C. (1965). Psychopathic personality: Pathological stimulation-seeking. American Journal ofPsychiatry, 122, 180-183. Rankin, J. H. (1957). Preventive psychiatry in the Los Angeles Police Department. Police, 2, 24-29. Rankin, J. H. (1959). Psychiatric screening of police recruits. Public Personnel Review, 20, 191-196. Reese, J. T. (1986). Foreword. In J. T. Reese & H. Goldstein (Eds. ), Psychological services for law enforcement (p. v). Washington, DC: U.S. Government Printing Office. Reese, J. T. (1987). A history of police psychological services. Washington, DC: U.S. Government Printing Office. Reiser, M. (1972). The police psychologist. Springfield, IL: Charles C Thomas. Reiser, M. (1982). Police psychology: Collected papers. Los Angeles, CA: LEHI. Resnick, R. J. (1997). A brief history of practice—expanded. American Psychologist, 52, 463-468. Robinson, E. S. (1935). Law and the lawyers. New York, NY: Macmillan. Rogers, O. (1910). The unwary purchaser: A study in the psychology of trademark infringe­ment. Michigan Law Review, 8, 613-644. Rogers, O. (1918). An account of some psychological experiments on the subject of trademark infringements. Michigan Law Review, 18, 75-95. Rowland, E. (1913). Report of experiments at the State Reformatory for Women at Bedford, New York. Psychological Review, 20, 245-249. Schrenck-Notzing, A. (1897). Uber suggestion und erinnerungsfalschung im Berchthold-process [Concerning suggestion and falsification of memory in the Berchtold case]. Leipzig, Germany: Johann Ambrosius Barth. Scrivner, E. M. (1994). The role of police psychology in controlling excessive force. Washington, DC: National Institute of Justice. Shartle, C. L. (1946). Occupations in psychology. American Psychologist, 1,559-582. Slesinger, D., & Pilpel, M. E. (1929). Legal psychology: A bibliography and a suggestion. Psychological Bulletin, 12, 677-692. Snee, T. J., & Lush, D. E. (1941). Interaction of the narrative and interrogatory methods of obtaining testimony. Journal of Psychology, 11, 225-236. Sporer, S. L. (1982). A brief history of the psychology of testimony. Current Psychological Reviews, 2, 323-339. Sporer, S. L. (2008). Lessons from the origins of eyewitness testimony research in Europe. Applied Cognitive Psychology, 22, 737-757. Sprung, L., & Sprung, H. (2001). History of modern psychology in Germany in 19th- and 20th-century thought and society. International Journal ofPsychology, 36, 364-376. State v. Driver, 88 W. Va. 479,107 S. E. 189 (1921). Stern, L. W. (1902). Zur psychologie der aussage [To the psychology of testimony]. Zeitschrift fur die gesamte Strafrechswissenschaft, 23, 56-66. Stern, L. W. (1910). Abstracts of lectures on the psychology of testimony. American Journal of Psychology, 21, 273-282. Stern, L. W. (1939). The psychology of testimony. Journal of Abnormal and Social Psychology, 40, 3-20. Tapp, J. L. (1976). Psychology and the law: An overture. Annual Review of Psychology, 27, 359-404. Terman, L. M. (1917). A trial of mental and pedagogical tests in a civil service examination for policemen and firemen. Journal of Applied Psychology, 1, 17-29. Terrio, L., Swanson, C. R. Jr., & Chambelin, N. C. (1977). The police personnel selection process. Indianapolis, IN: Bobbs-Merrill. Thurstone, L. L. (1922). The intelligence of policemen. Journal ofPersonnel Research, 1, 64-74. Toch, H. (Ed.). (1961). Legal and criminal psychology. New York, NY: Holt, Rinehart & Winston. Toch, H. (1969). Violent men: An inquiry into the psychology of violence. Chicago, IL: Aldine. Toch, H. (1992). Functional unit management: An unsung achievement. Federal Prisons Journal, 2, 15-19. Undeutsch, U. (1992). Highlights of the history of forensic psychology in Germany. In F. Losel, D. Bender, & T. Bliesener (Eds. ), Psychology and law: International perspectives (pp. 509-518). Berlin, Germany: De Gruyter. Viteles, M. S. (1929). Psychological methods in the selection of patrolmen in Europe. Annals of the American Academy, 146, 160-165. Watkins, R. E. (1992). An historical review of the role and practice of psychology in the field of corrections. Ottawa, Canada: Correctional Service of Canada. Weld, H. P., & Danzig, E. R. (1940). A study of the way in which a verdict is reached by a jury. American Journal of Psychology, 53, 518-536. Weld, H. P., & Roff, M. (1938). A study in the formation of opinion based upon legal evidence. American Journal of Psychology, 51, 609-628. Whipple, G. M. (1909). The observer as reporter: A survey of the “psychology of testimony.” Psychological Bulletin, 6, 153-170. Whipple, G. M. (1910). Recent literature on the psychology of testimony. Psychological Bulletin, 7, 365-368. Whipple, G. M. (1911). Psychology of testimony. Psychological Bulletin, 8, 307-309. Whipple, G. M. (1912). Psychology of testimony and report. Psychological Bulletin, 9,264-269. Whipple, G. M. (1913). Psychology of testimony and report. Psychological Bulletin, 10, 264-268. Whipple, G. M. (1914). Psychology of testimony and report. Psychological Bulletin, 11, 245-250. Whipple, G. M. (1915). Psychology of testimony. Psychological Bulletin, 12, 221-224. Whipple, G. M. (1917). Psychology of testimony. Psychological Bulletin, 14, 234-236. Wigmore, J. H. (1909). Professor Munsterberg and the psychology of testimony: Being a report of the case of Cokestone v. Munsterberg. IIlinois Law Review, 3, 399-445. Wigmore, J. H. (1940). Evidence in trials at common law. Boston, MA: Little, Brown. Winick, C. (1961). The psychology of juries. In H. Toch (Ed. ), Legal and criminal psychology (pp. 96-120). New York, NY: Holt, Rinehart & Winston. Wormith, J. S., & Luong, D. (2007). Legal and psychological contributions to the development of corrections in Canada. In R. K. Ax & T. J. Fagan (Eds. ), Corrections, mental health, and social policy: International perspectives (pp. 129-173). Springfield, IL: Charles C Thomas.